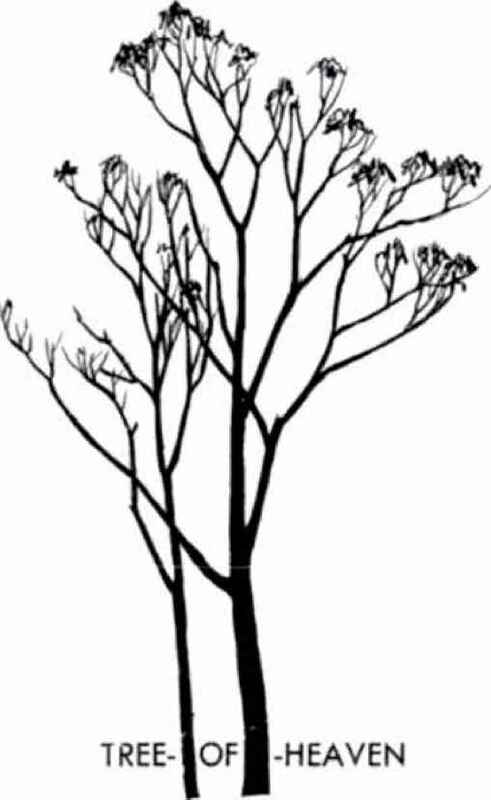 An expert bird-watcher can often identify a bird by its silhouette alone, birds are dependable: a grackle always is shaped precisely like a grackle, and one starling invariably resembles another starling. 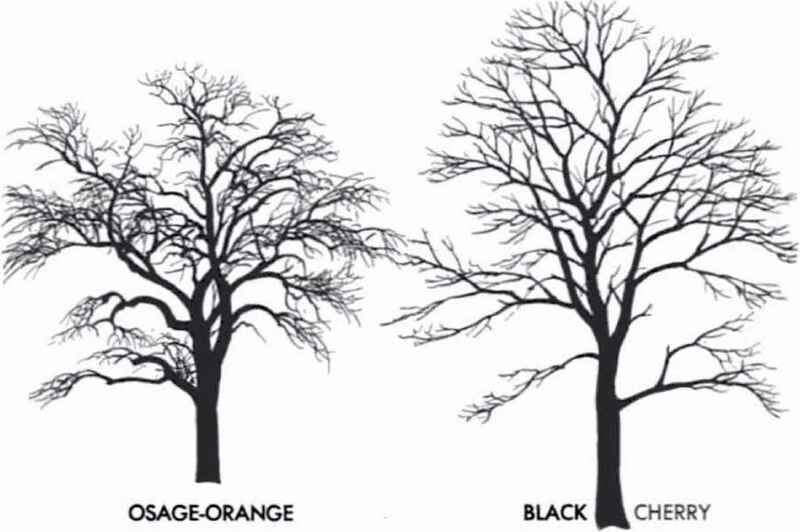 Trees, on the other hand, are not so consistent. 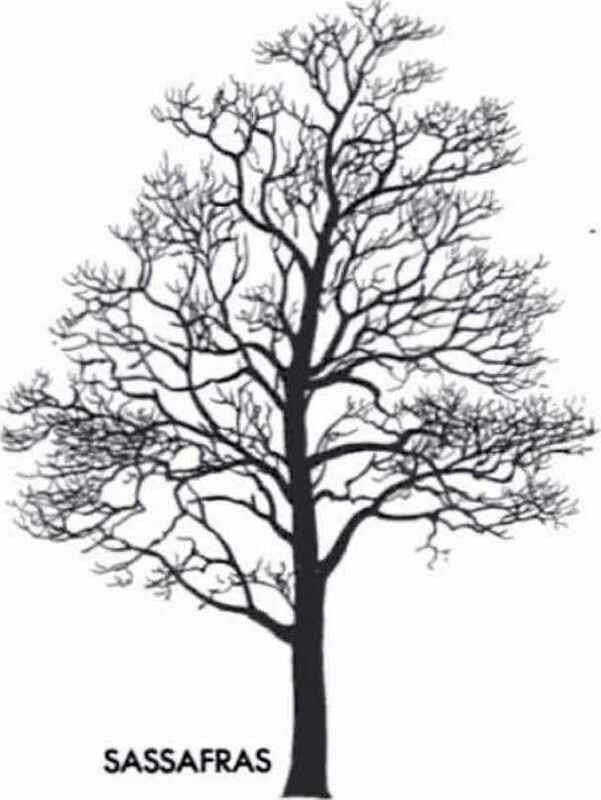 The beginner, learning his trees, yearns for a book that will give him shapes and field marks by which he can make snap identifications from a moving car. 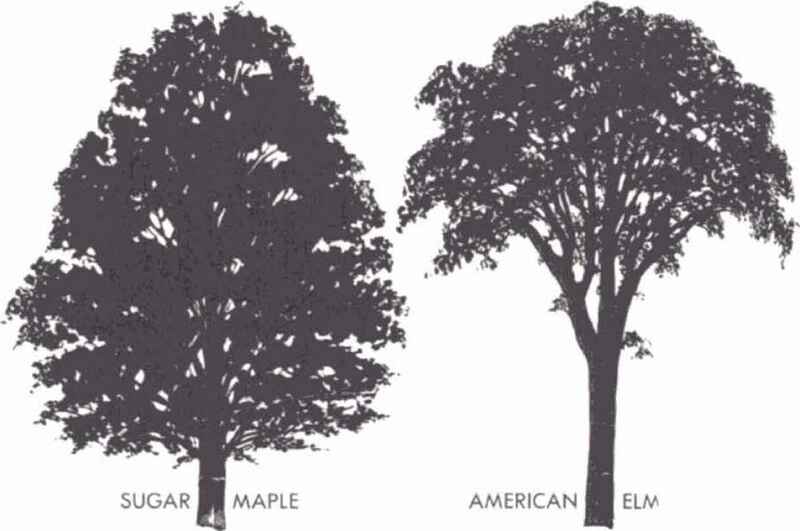 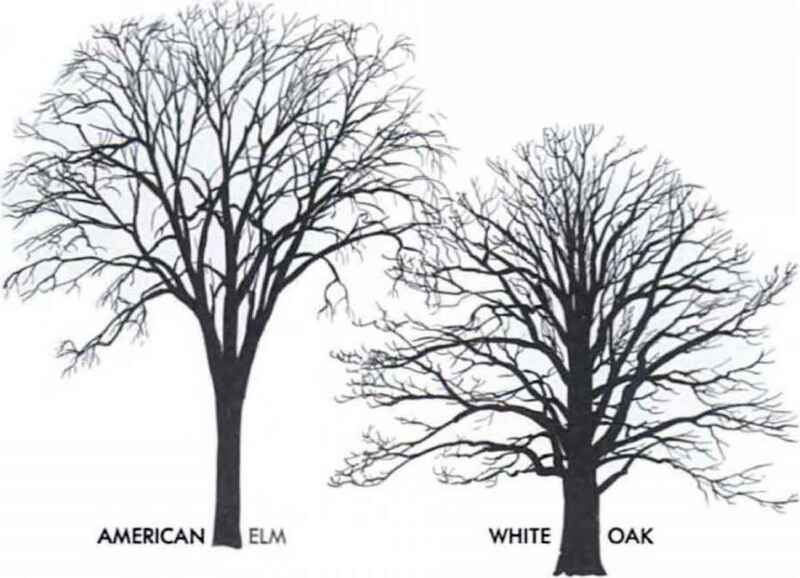 But it isn't that easy* True, an elm somehow always looks like an el in, but many trees assume a variety of shapes. 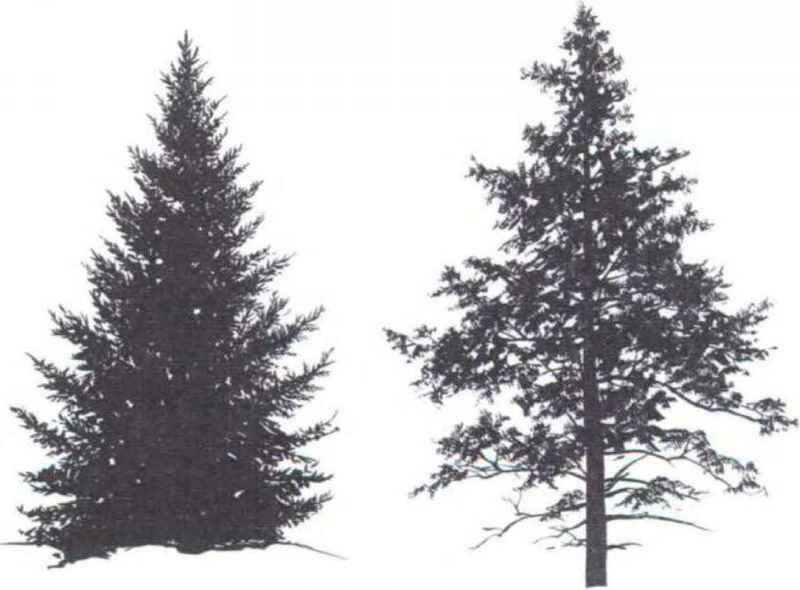 A young tree might look entirely unlike a grizz'ed veteran of the same species. 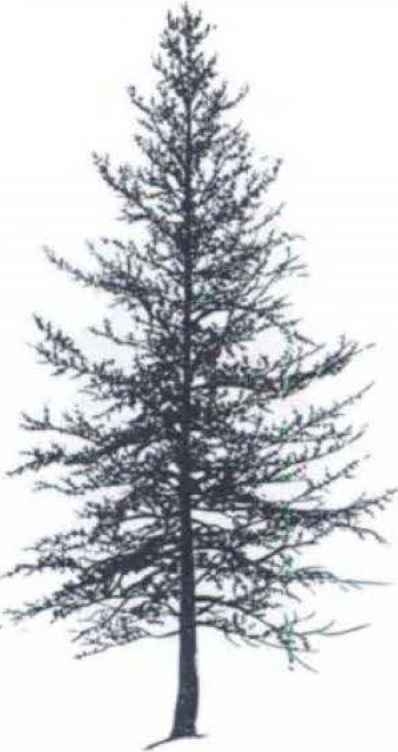 And a forest-grown tree, reaching for the light, might be tall, slender, and restricted in its branching compared to a field-grown example where plenty of sun, soil, and moisture- have enabled it to develop a maximum crown. 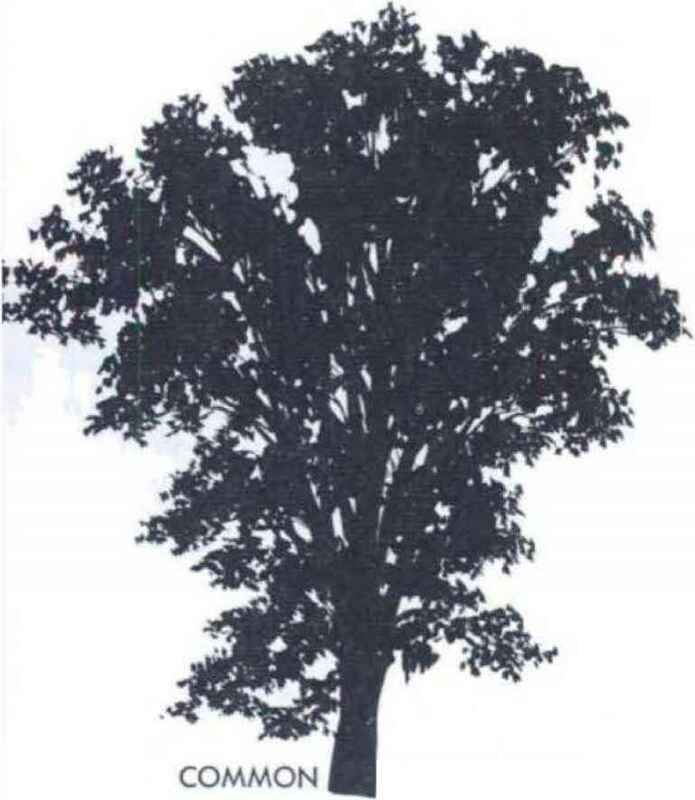 But within limits one can, with a little practice, recognize by shape and manner of growth quite a lew of the trees and also some of the shrubs. 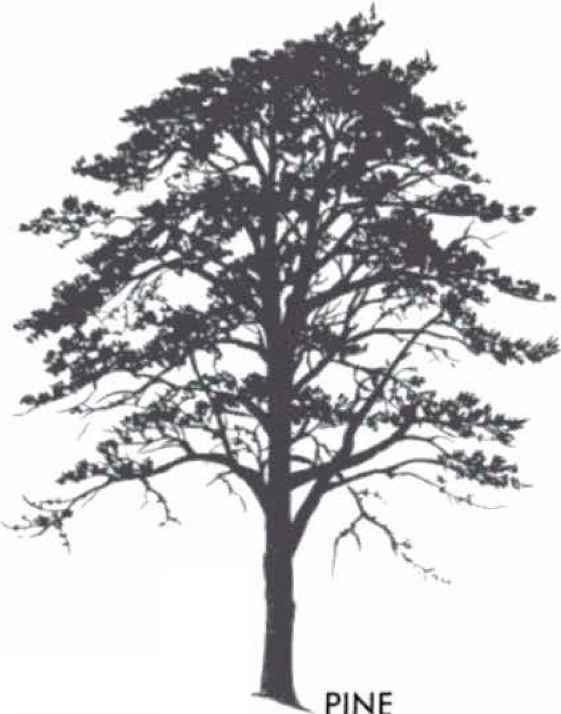 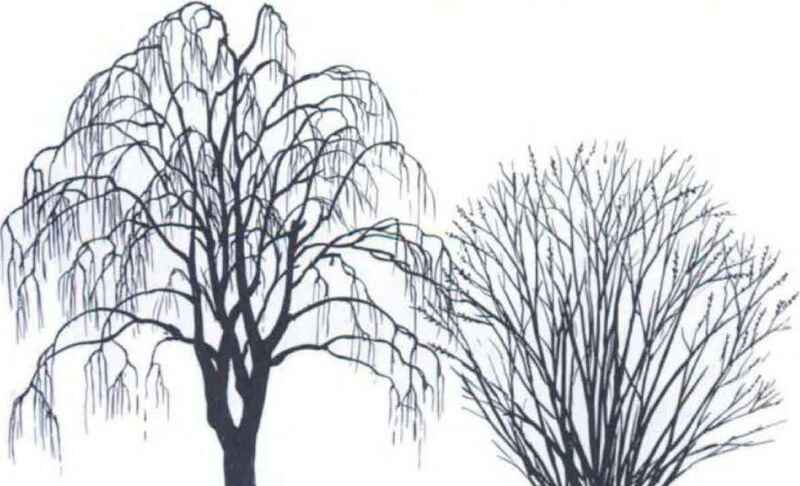 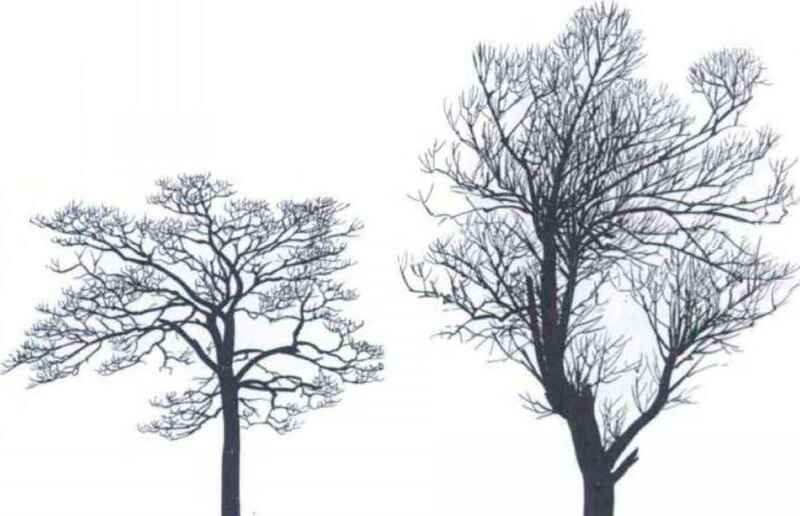 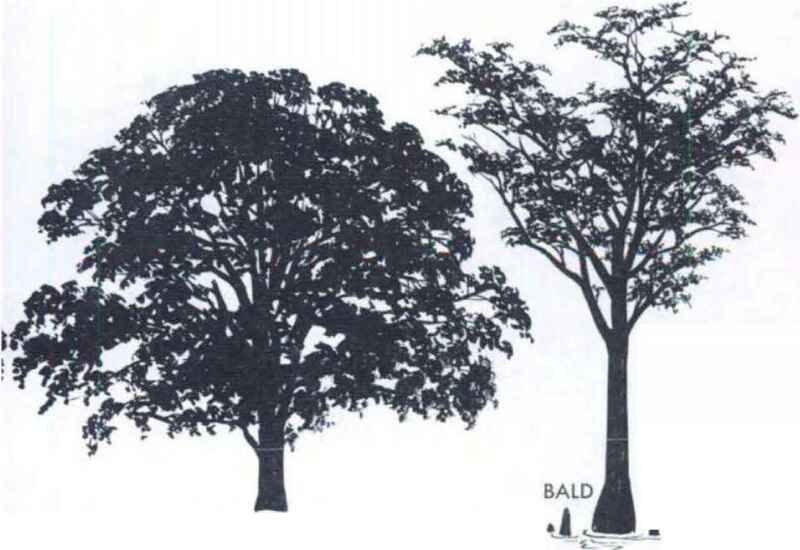 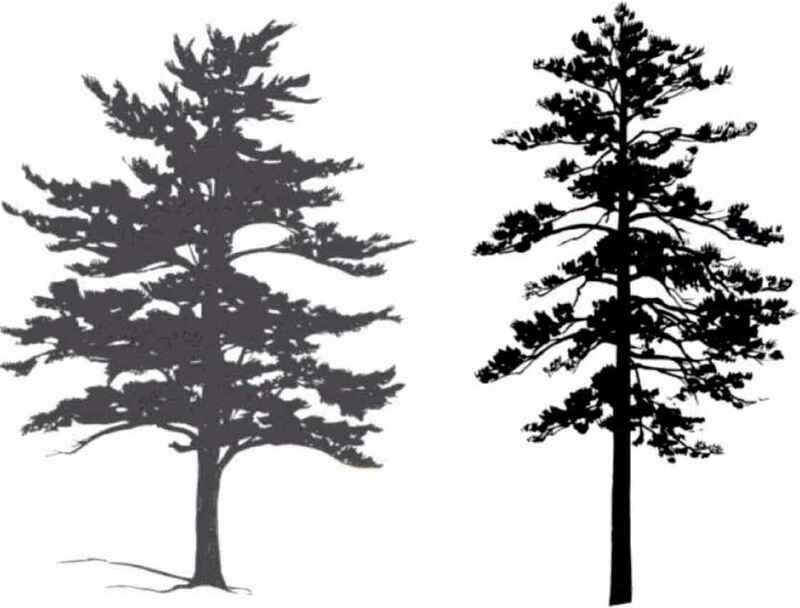 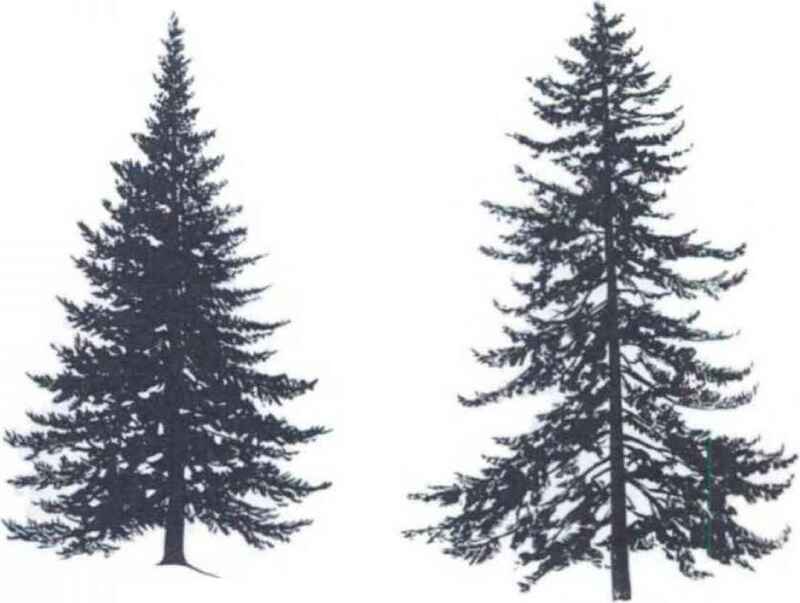 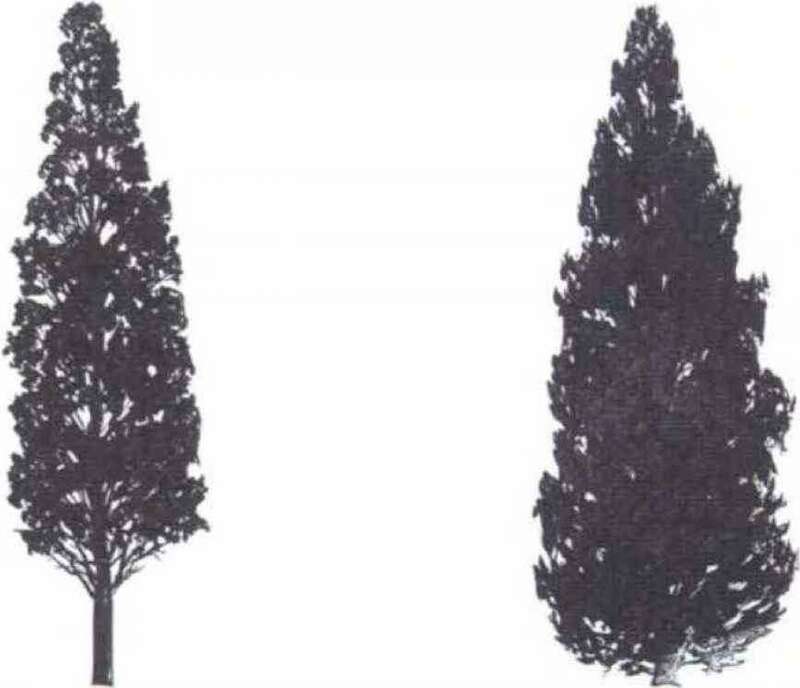 On the following pages are presented some silhouettes of a selection of trees (and one or two shrubs)- Not all examples will look like these, but they are, on the whole, typical. 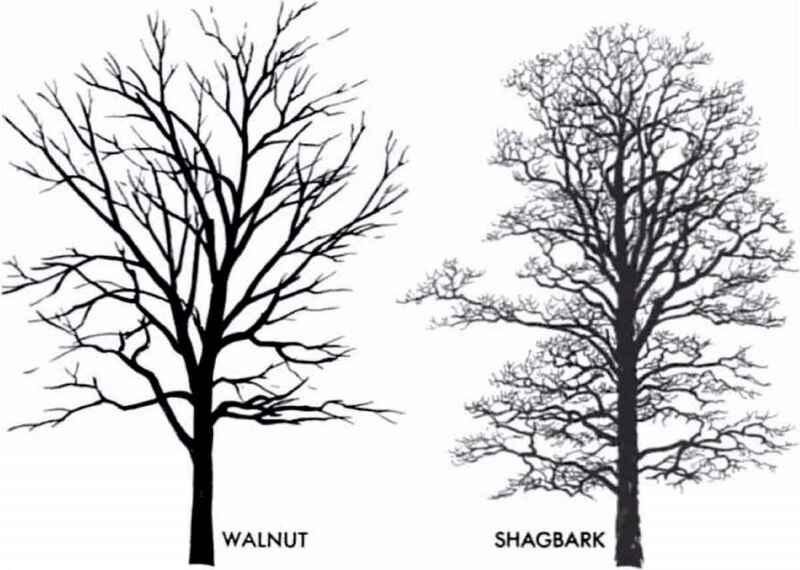 They represent open-grown specimens, not those of crowded woodland situations. 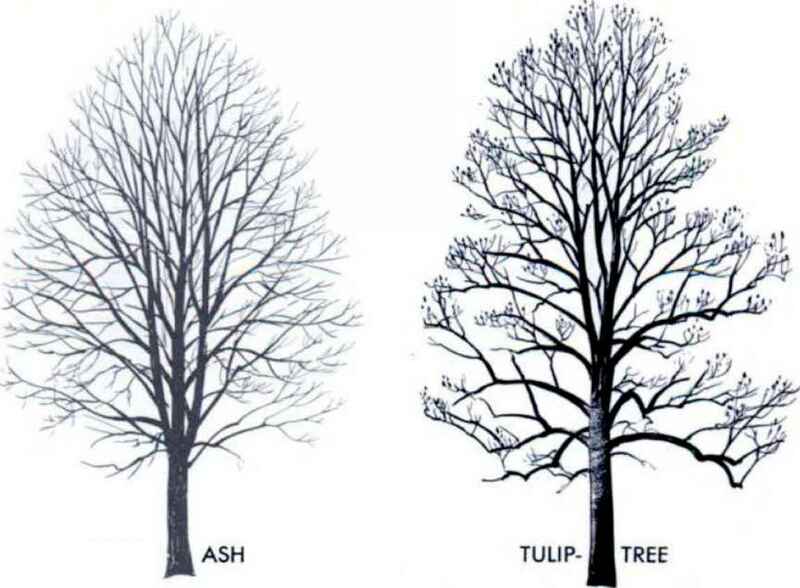 If in doubt check the leaf and twig characters. 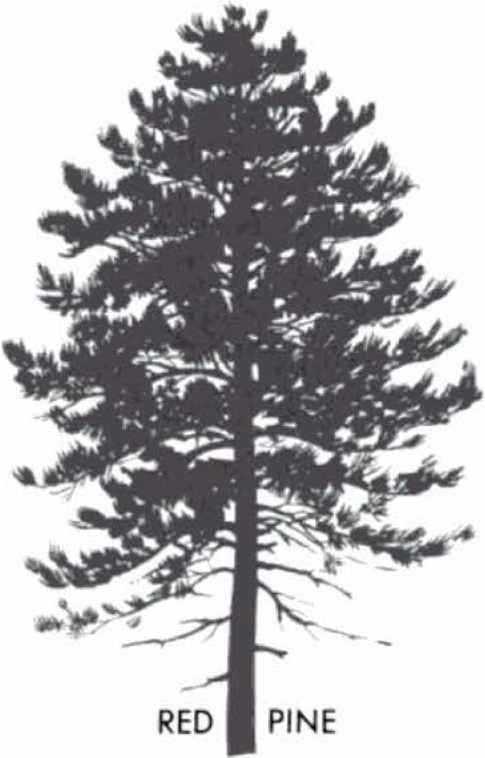 Silhouette page numbers appear in italic at the beginning of the descriptions in the text. 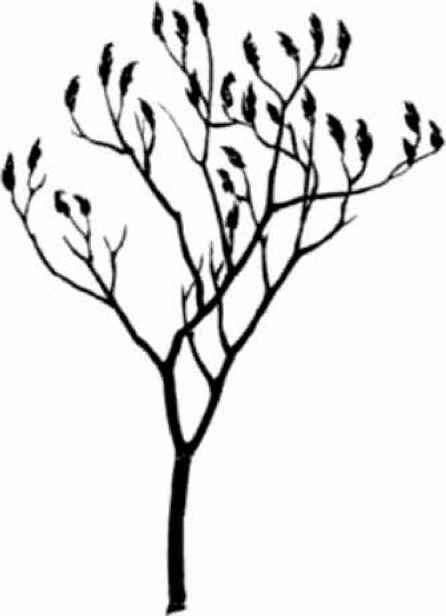 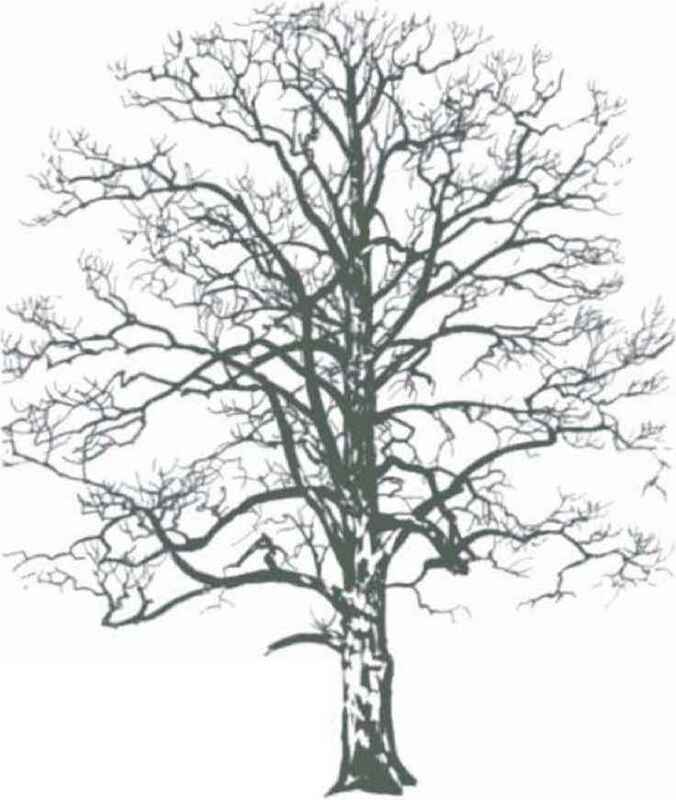 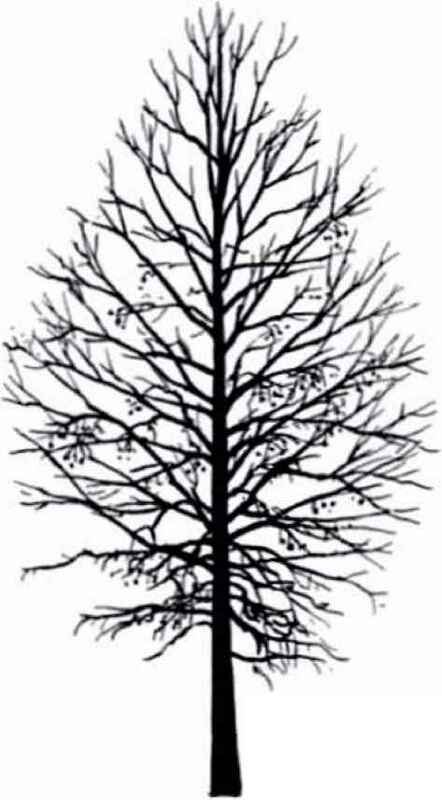 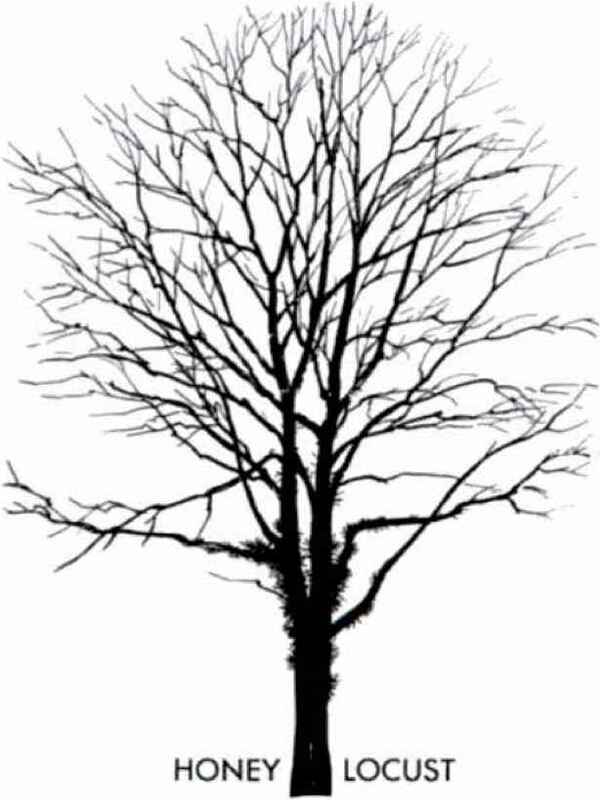 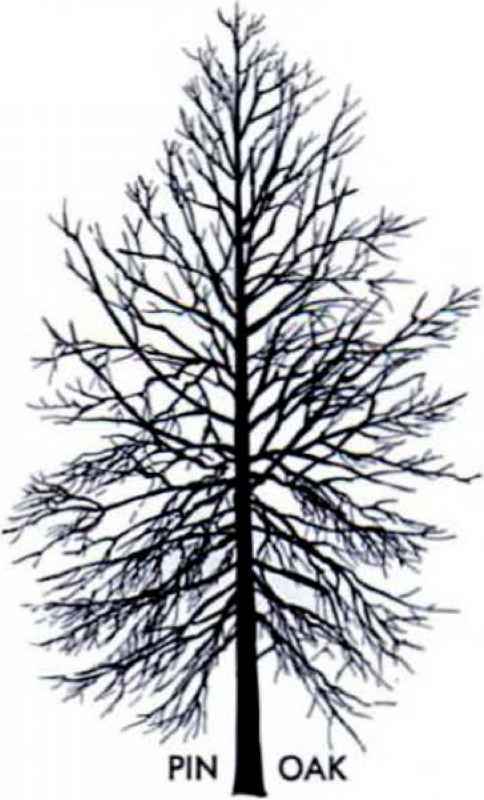 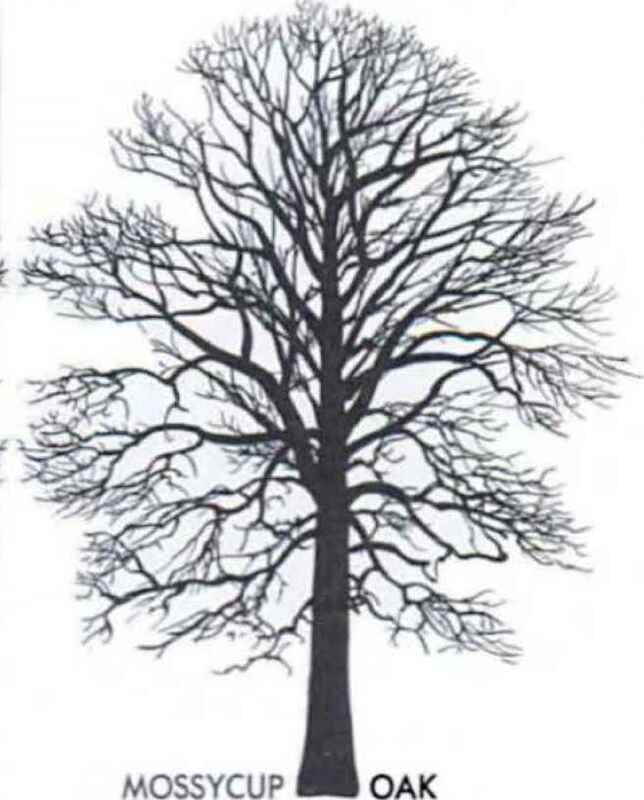 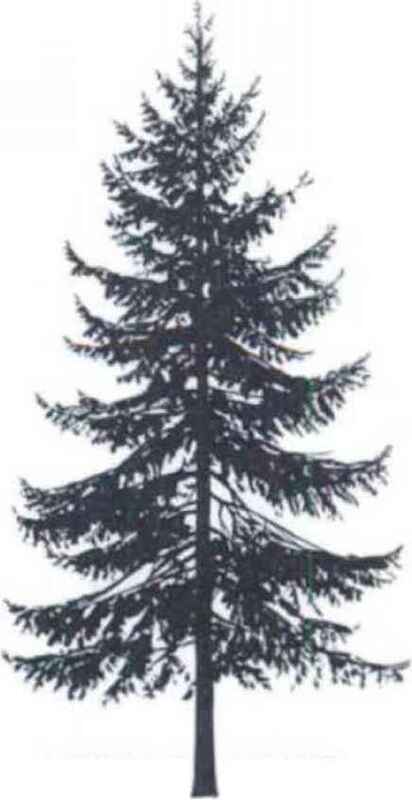 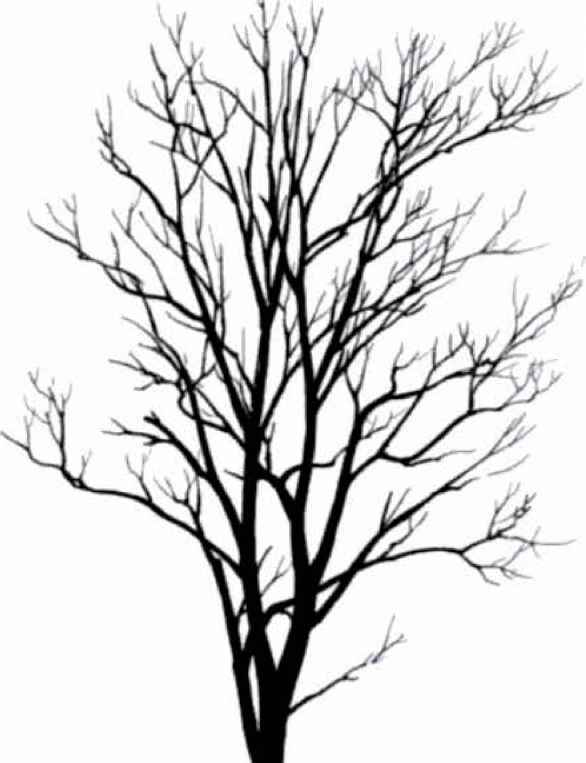 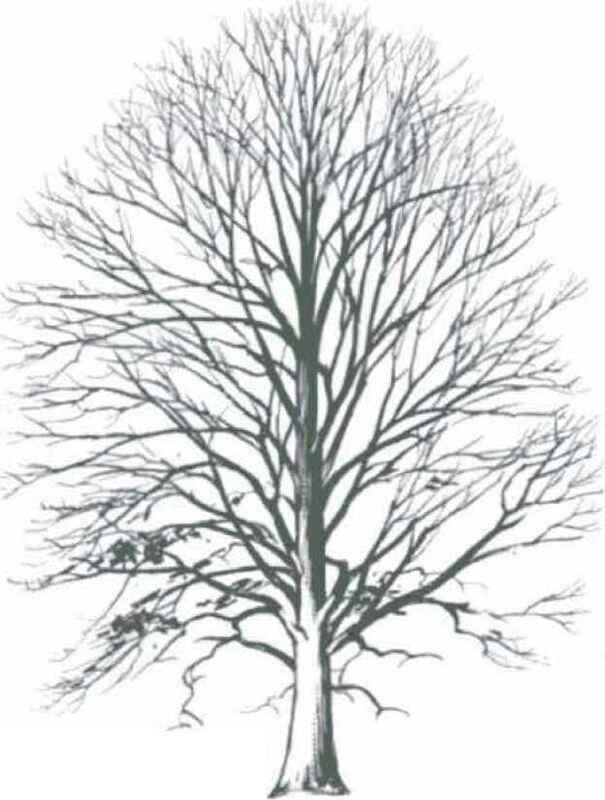 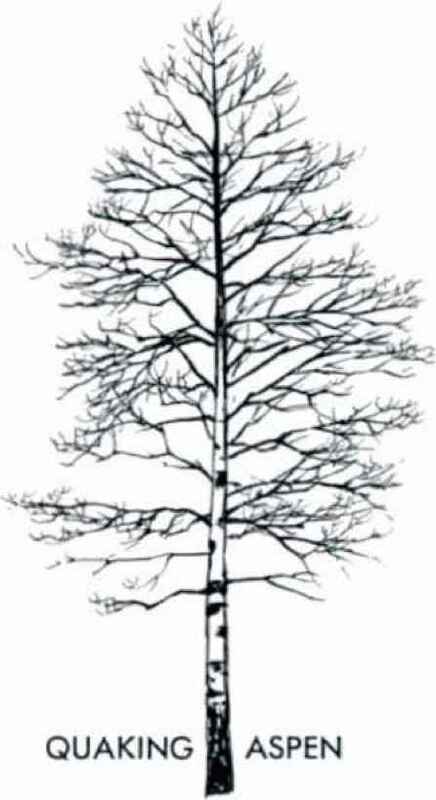 How to draw a tree without leaves? 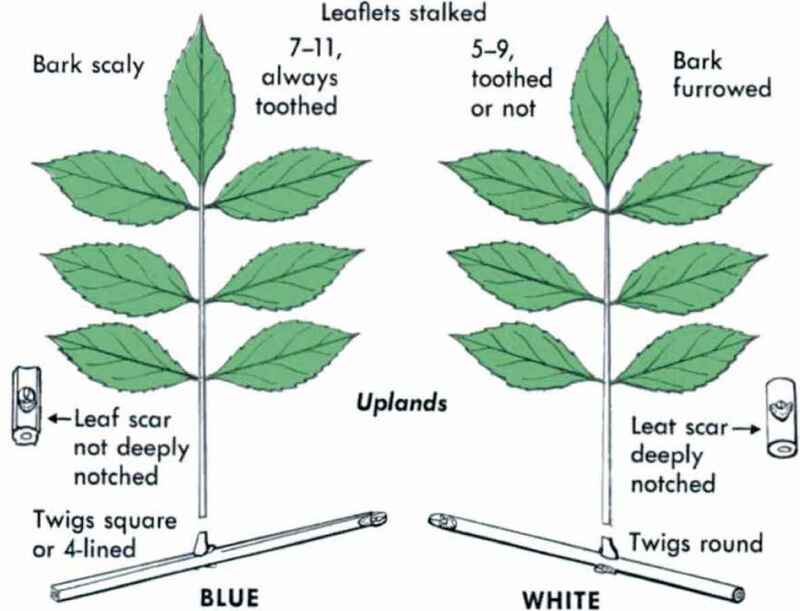 Which is the smallest tree trunk twig leaf branch? 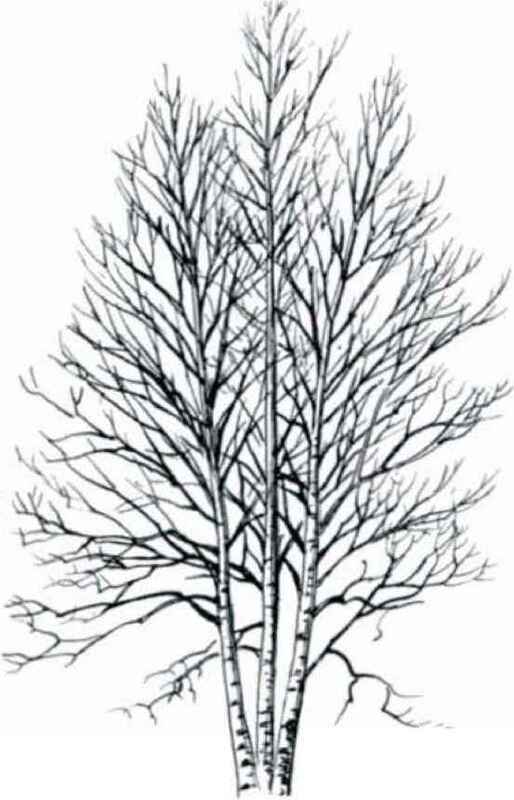 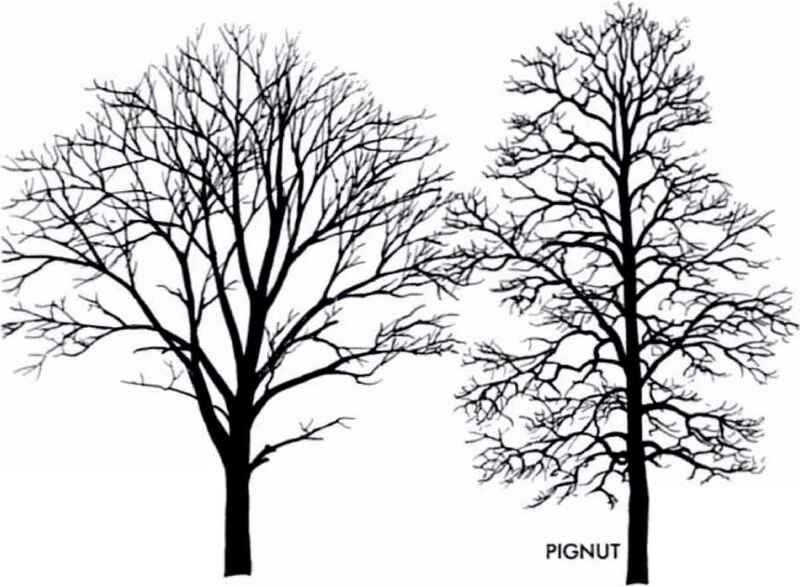 How to draw a hickory tree? 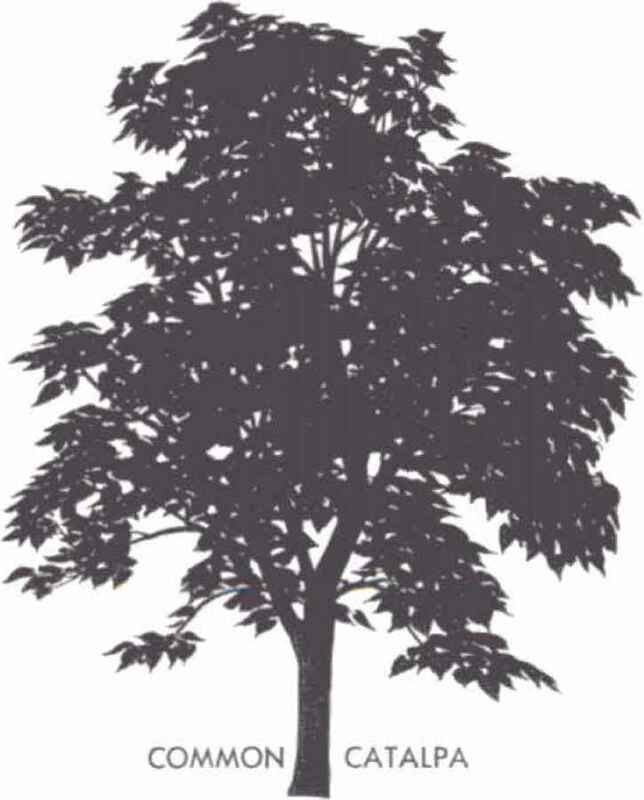 How to draw a sumac tree?